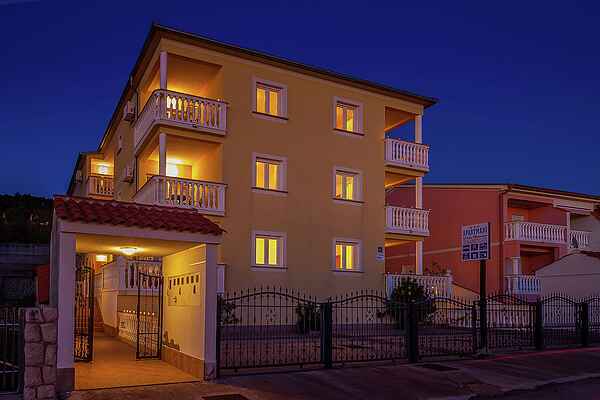 Apartment Kvarner is located in a little tourist resort Dramalj connected to Crikvenica with long path surrounded by mediterranian vegetation called Lungo mare. Spacious ground floor apartment is situated in a quiet area, 1 km from the center providing peacuful vacation. Large living/dining room has a nice balcony equipped with terrace furniture. Apartment is modernly furnished respecting high standards and offers high comfort to its visitors. The nearist beach is 300 meters far from the apartment while the most attractive beach of the region Kacjak, located on peninsula is only 0.9 km away. Dramalj and Crikvenica with long tradition in tourism are pearls of Crikvenica Riviera due to the mild Mediterranean microclimate, beautiful sandy, pebbled and stone beaches and rich historical and cultural heritage. Beside watersports for those who seek for an active holiday there is variety of activities: cycling, mountain climbing, fishing, diving, tennis, golf. National park Risnjak with its natural beauties as well as Gorski Kotar, region with mountains and lakes are reachable within 1 hour of driving. At the same distance you can visit tourist resort Opatija, picturesque Istria and biggist croatian island Krk. Crikvenica is easily reached by car and by air since Rijeka airport, 24 km away is a destination of numerous europian low cost air carriers.